Hearts are still heavy everywhere since the sudden passing of Nipsey Hussle yesterday in Los Angeles. The "Double Up" rapper was gunned down outside of his Marathon Clothing store in South L.A. and later pronounced dead at the hospital. 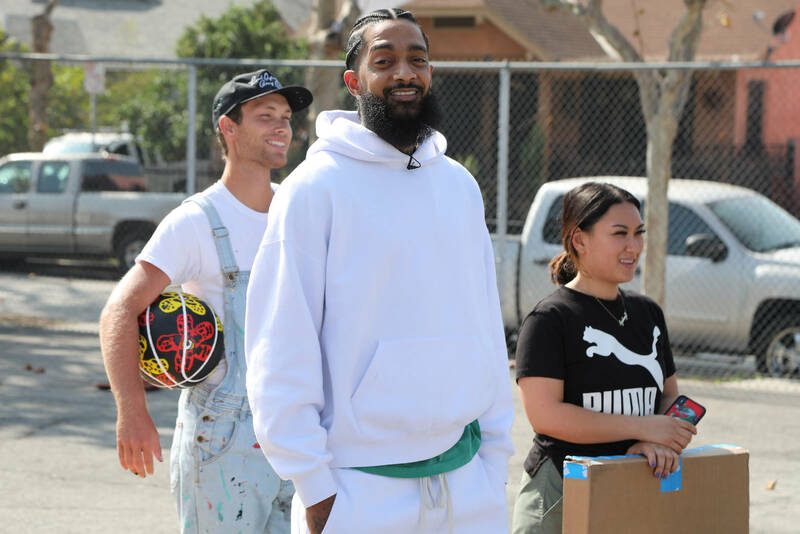 Since the tragic news broke, artists and fans everywhere have shared statements sending love to Nipsey's family. TMZ now reports that Nipsey's music has made serious moves on iTunes and Amazon's charts. Nipsey's debut studio album Victory Lap has jumped to #1 on Amazon's Movers & Shakers list, moving up 504,766%. Nipsey's other albums and mixtapes also occupy the other second, third, and fourth spots. As for iTunes, Victory Lap is ranked number two on the album charts and his mixtape Crenshaw has climbed to number 12. Nipsey was supposed to meet with the Los Angeles Police today to discuss ways on how to help stop gang violence to better his community. "You were about something..positive and for your community in every chance you had to speak..and because of that You inspired millions..millions who will uphold your legacy forever. rest amongst the stars," Pharrell wrote amid Nipsey's death. Meek Mill added: "Broke me.... we really fighting for our lives against our own kind and really have to take risk and match the level of hatred that we are born in .. I’m tired 🙏🏾 prayers for my brother and his family."